There are absolutely no costs to transfer your mortgage from one Banking Institution to another. No appraisal fees, no legal work and no penalties. Yet still, mortgage renewals are one of the most neglected decisions made during the life of a mortgage. Many homeowners stay with their existing mortgage lender because they believe it is too time consuming to shop around for a better rate. Or, they may think the offer from their existing bank is the best deal available. This is not true. Experience shows that most banks offer renewing clients a discount of .25% (whereas we can negotiate up to almost 2% off of posted) off posted rates; as well, negotiating a rate discount with the branch can often be a timely process and will often not lead to the best rate. 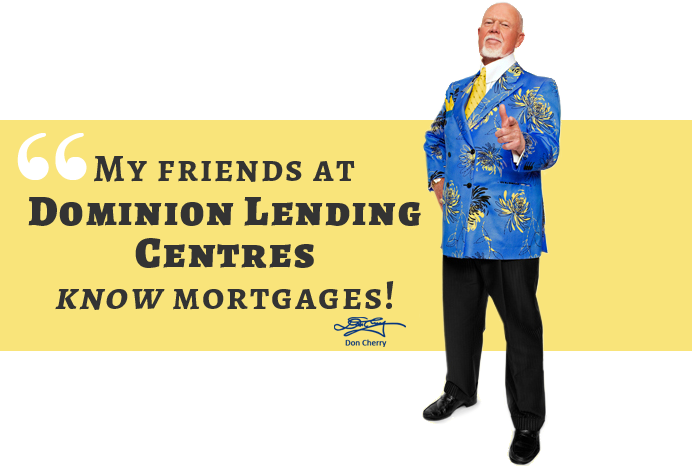 All Dominion Lending Centres-Regional Mortgage Group clients are treated with respect, courtesy and privacy. Our best rates are posted and all of our clients are assured the same dedication to finding the best mortgage solution for your needs. At DLC Regional Mortgage Group, we focus 100% of our time and effort on the mortgage market. This is very crucial when it comes to providing the service and rates that each client deserves. Don’t wait for the Bank! Approach your mortgage lending institution months before the renewal date and ask what they can do for you. Keep Asking! Be confident to negotiate with your mortgage provider as to what their best rate on your renewal can be. Then, call us and we’ll beat that rate too, and at NO cost to you. Let’s assume two clients share the same maturity date of July 1, 2012. Client “A” calls DLC Regional Mortgage Group four months prior to the date, enabling us to go to the market and get client “A” the lowest rate possible, guaranteed until July 1, 2012. This costs Client “A” nothing! If rates decrease, Client "A" will benefit and receive the lowest rate in the marketplace, right up to July 1, 2012. If rates increase, Client "A" is protected because they locked in. The new bank pays all the costs associated with mortgage transfers. 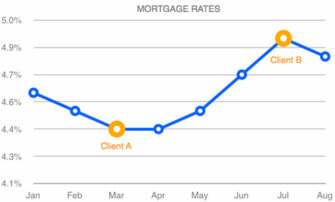 Client "A" received a rate of 3.29% on March 1, 2012. Client “B” waits until their current lender notifies them in the mail that renewal time is near. (Typically about 15-20 days prior to the maturity date.) The Banks are very clever and know how to ensure their clients resign at their rate. They know 15 days is not enough time to properly research the market and comparison shop. They know that most clients are unaware that companies like DLC Regional Mortgage Group exist, because 90% of their clients do not transfer their mortgages. When client “B” receives the renewal notice on June 15, 2012, the best 5 year rate is 5.19%, or 1.9% higher than the rate we secured for Client “A”. * This rate would only be available if they negotiated very well. With this knowledge you can protect yourself and save money. Call us anytime and speak to one of our Mortgage Specialists about all of your renewals / transfers needs at 866-343-1125.